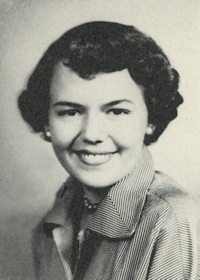 Obituary – Hoffman, Mary Jane (Harris) « Perry High School Alumni Association, Inc.
Mary Jane Hoffman passed away peacefully on Friday, March 24, 2017 at Green Valley Nursing Home in Perry, OK, surrounded by her family. She was 81. Funeral arrangements have been entrusted to the care of Palmer Marler Funeral Home in Perry. A Celebration of Mary Jane’s life will be 2PM Thursday, March 30, 2017 at First Assembly of God church in Perry. Interment will follow at Grace Hill Cemetery. Pastor Clydene Williams will officiate. Visitation will be 9AM to 8PM Wednesday, March 29, 2017 at Palmer Marler Funeral Home. Family will receive guests from 6PM to 8PM. Mary Jane was born December 27, 1935 in Cleveland, OK, to Denver Claude and Pearl Rachel (Shipman) Harris. 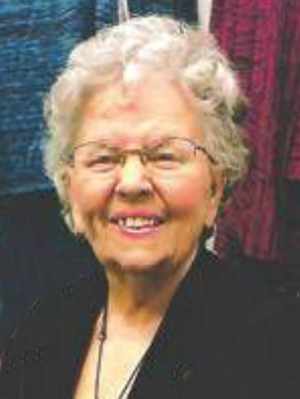 She attended school in Perry and graduated from Perry High School in 1956. She married Bill Hoffman on January 11, 1965 in Perry, OK. Mary Jane loved the Lord with all her heart. She was of the Pentecostal faith and attended Perry Full Gospel church. She helped teach during Bible School for many years. Mary Jane had a deep love for animals, whether it be her little dogs, or just sitting outside watching the birds or squirrels. She always found time to go shopping, especially for another pair of shoes that she may not have needed. Mary Jane was survived by one son, Darl Eugene Hoffman and wife Debbie of Perry, OK; three daughters, Pamela Jane Hoffman and friend Ted Shepherd, Billie Rae Patak and husband Mike, and Teresa Lynn McVay and husband Shawn all of Perry, OK; one brother, Doug Harris of Perry, OK; seven grandchildren, Jason Hoffman and wife Shelly of Berthoud, CO, Jessica Wiechman and husband Dustin of West Point, NE, Jennifer Hoffman and significant other Tyler Slagle of West Point, NE, Chris Edgar of Perry, OK, Brandon Patak of Perry, OK, Halston McVay of Allen, TX, and Wyatt McVay of Perry, OK; Ten great-grandchildren; a very close cousin that was more like a sister, Janice Meyer; nieces, nephews, cousins, and a host of friends. She was preceded in death by her husband, Bill Hoffman in 2001; one brother, Bobby Harris; parents, and a infant sister. Memorial contributions may be made to the Perry Humane Society in c/o Palmer Marler Funeral Home, 203 Fir, Perry, OK, 73077.